One church in England took a novel approach to recycling church pews and reimagined the wood into something new—crosses for a school. Churches stateside can use this idea to raise funds for their own church renovations or to spread the word through beautiful crosses—all it takes is a bit of knowhow and some handiwork. Many churches sell their church pews to refinishing companies to be refurbished for resale but not all church pews are in good enough shape for that kind of future. When church pews are at their ragged ends, it can be hard to find a use for them. 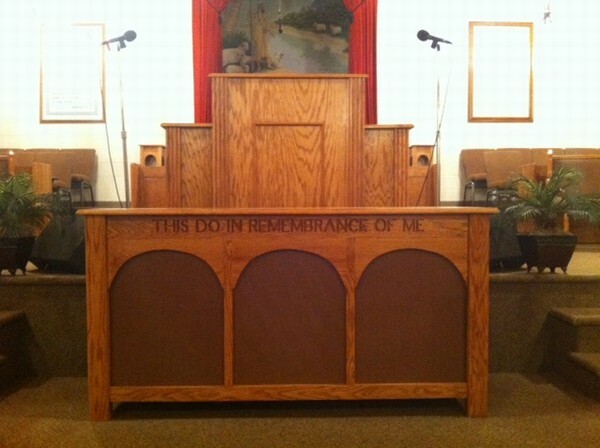 Some people might want to buy church pews to use in home decor but even that requires a certain level of quality. When your old church furniture isn’t good for much of anything, you can slice it up into pieces and make crosses out of the wood that hold memories for many of your congregation members. You’ll need congregation members who have a bit of know-how when it comes to cutting wood but it can be an activity the entire community can help with. Simple crosses made out of church pews can use up the wood and put it to good use. Churches can sell the church pew crosses as a fundraiser or for community outreach and give them as gifts to those who are still on the path to finding God. It’s certainly not an easy task and not for everyone or every church but making crosses out of old church pews can be one great way to involve your community in your church’s renovation. Making the church pews themselves takes a lot of work and skill and that’s where we can come in. If you’re looking for custom made church pews, we can build new pews for your church that fit your space and community perfectly. Request a free quote today!